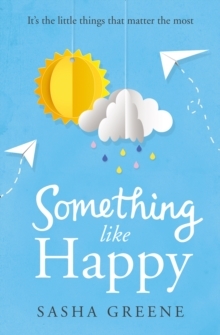 An emotional and thought-provoking novel about friendship, love and day-to-day struggles with mental health. Jade is just trying to get by. She doesn't want to talk about it. She doesn't want a fuss. But one day she meets Nick and everything changes. Out of the most difficult of situations, Nick and Jade's friendship grows into something both of them never knew they needed. Jade used to be sure that she was better off alone. But could it be that together, with Nick by her side, she can start to feel something like happy again?